Legendary Bollywood actor Amitabh Bachchan is one of the few actors of his age to be active on Twitter or any social media channels. He was in news when he tweeted to Samsung about the problem with Galaxy Note 7 and also when he tweeted to Vodafone regarding network issues. This morning on Twitter he announced that he has partnered with OnePlus in their ‘Never Settle’ journey as the first OnePlus Star. 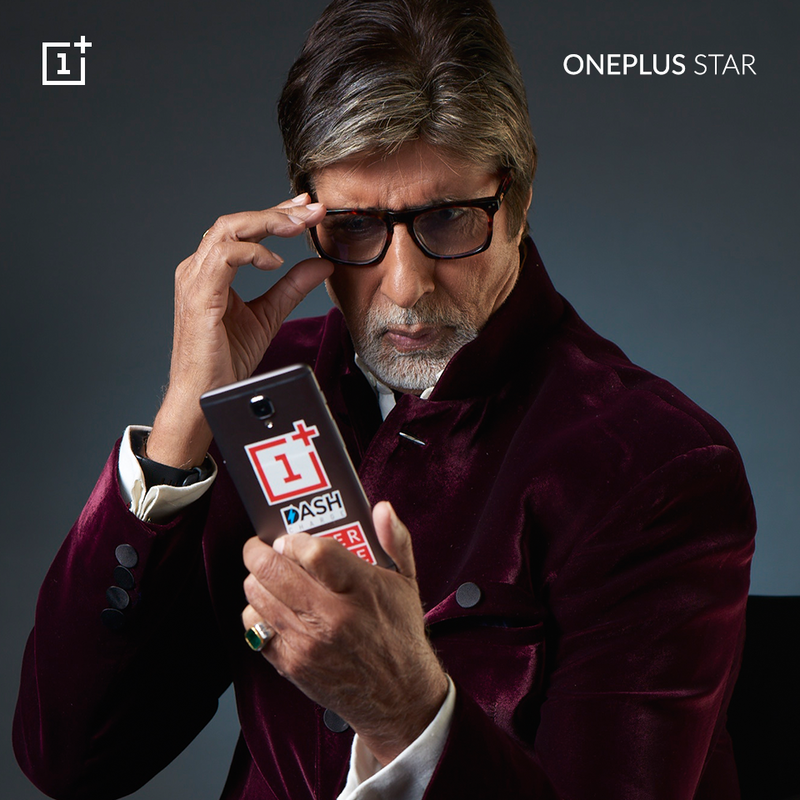 In the tweet, you can see Amitabh adjusting his glasses in front of a OnePlus mobile that has dash charge symbol on it back. Little did we imagine that a startup company like OnePlus will partner with a veteran actor like Amitabh Bachchan, the credit goes to his active presence on Twitter. 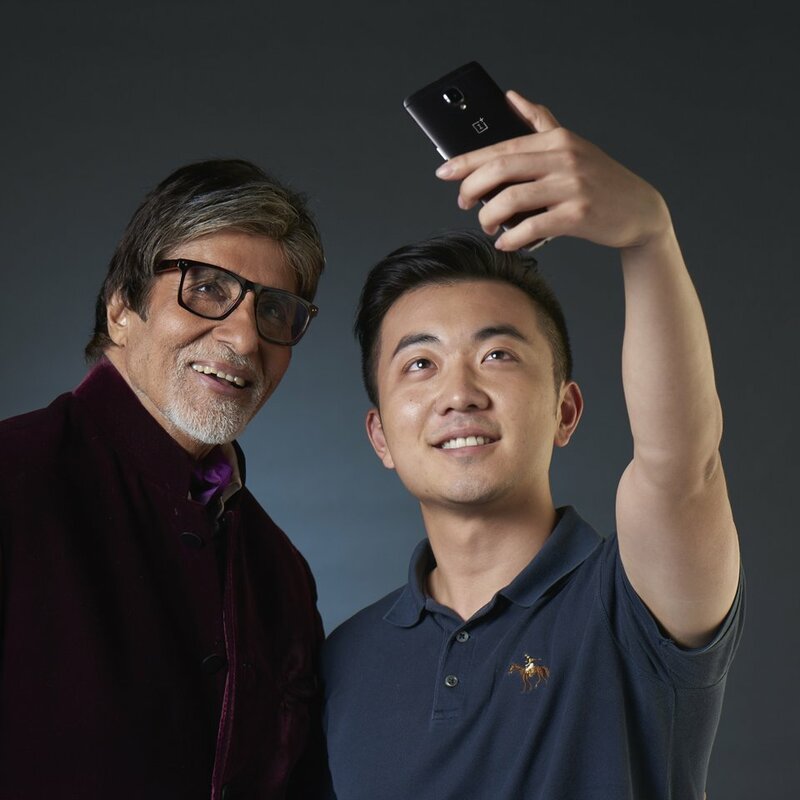 Responding to the partnership, Carl Pie, co-founder of OnePlus, welcomed Amitabh to the OnePlus family. In an another tweet, you can see Carl Pie beside Amitabh posing for a selfie. He also reinforced the fact that Bollywood’s best actor is the first OnePlus Star. OnePlus is seeing a rapid growth in India. The recently launched OnePlus 3T has been receiving a tremendous response from the customers. Also, OnePlus is prepping to launch the company’s next flagship device. It seems the company is leaving no stone unturned to lure more customers, thus, further expanding its market. We have to wait to see who else OnePlus brings on board as the OnePlus Star.